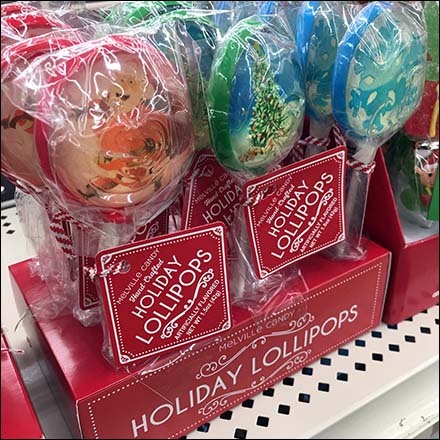 You can show off your good taste with choices from this individually tagged Hand-Crafted Christmas Holiday Lollipop Display. They may be artificially flavored but not machine manufactured. If you require the human touch for your treats, this Melville Candy offering is for you. Consider the effect on merchandising of the hand-crafted promise. This Hand-Crafted Christmas Holiday Lollipop Display seen at Michaels.